541 days was the life span of Mauritanian democracy. This small African country, full member of the Arab league had been very much on the periphery of events in the Middle East and North Africa until it experienced its first democratic Presidential elections (March 2007) since it gained independence from France in 1960. Run by a one-party state apparatus under the leadership of successive Army officers, Mauritania was familiar to coups and power struggles. But the military junta behind the 3rd August 2005 coup that ended of the Twenty years dictatorship of Colonel Tava kept its promises to facilitate the transition to a civilian administration through the ballot box. This was unheard of in the Arab world and the small republic was making the headlines. The elections came and went praised for being transparent and free of violence and intimidation. The emerging republic appeared on a straight but narrow course, fighting off tough economic conditions and Islamic militancy. Three years later the experiment has ended and the generals are back in power declaring martial law and clamping down on any opposition. 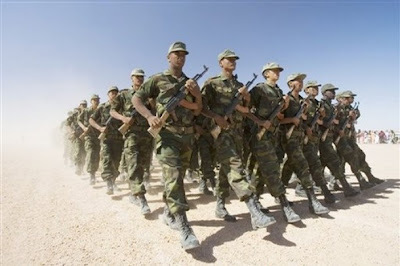 The conflict between the President Sidi Ould Cheikh Abdallahi and the military hierarchy had been brewing for weeks but the deeper reasons, which will no doubt include foreign interference, will become clearer over the coming days. His whereabouts and those of a number of his ministers are unknown. While news reports on Al-Jazeera revealed small groups of supporters roaming the streets chanting their support while the coup unfolded, the majority of the population is likely to keep a low profile until the dust has settled. The African Union was among the first to condemn the move and so did the UN and the US. The French response came suspiciously muddled. Meanwhile Colonel Kaddafi is investigating while other Arab leaders remain silent. What the military gave in August 2005, the military took away in August 2008. The dawn of another bleak day for Democracy in the Arab world.